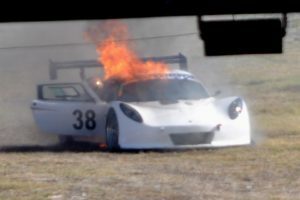 Qualifying for Passion for Speed sponsored by G-Energy on Friday 8 February turned out to be an expensive exercise, as Derek Hitchcock’s Lotus Exige caught fire coming on to the main straight and Jonathan du Toit’s Trans Africa Ferrari F430 toured past the pits followed by what looked like a plume of rubber smoke. 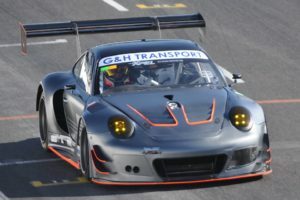 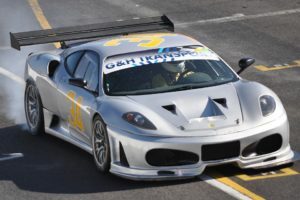 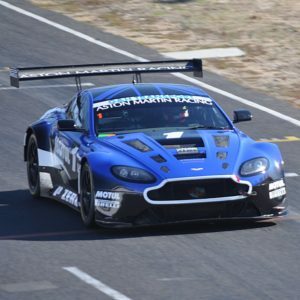 Nevertheless, at the sharp end of the field Charl Arangies put the Stradale Motorsport Aston Martin on pole for the G&H Transport Extreme Supercar races with a blistering 1min09.484, just 0.764s ahead of Simola Hillclimb hero Franco Scribante’s 3.8-litre Porsche 997 T. Local hero Marcel Angel in the Autohaus Angel Ferrari 458 was third, 2.219sec off the pace. 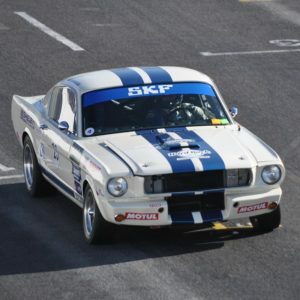 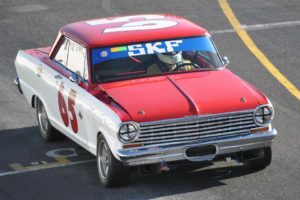 Peter Lindenberg roared to pole position in qualifying for the Legends of the 9 Hour Production Cars & Little Giants races, posting a best lap of 1min24.507 in his Shelby Mustang, 1.186s quicker than Jonathan du Toit’s Trans Africa Chev Nova and 2.266s ahead of Mark du Toit’s Trans Africa Ford Fairlane.